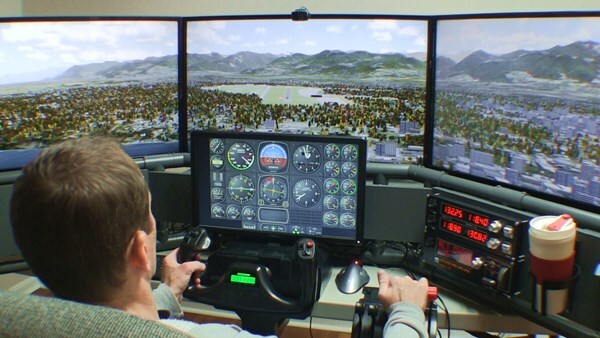 Can you learn to fly a real airplane with a home flight simulator? Two aviation schools say yes, and they provide training to help armchair pilots become real pilots. Interestingly, both schools use X-plane as their chosen flight simulator for private pilot license. I’ll discuss both schools below. First, an initial caveat: don’t record home flight sim training in your FAA logbook. The FAA will not recognize it. On the other hand, you can certainly learn material at home that will make your training time in the real airplane more efficient. Getting Started with Flight Simulation $99 (regularly $129). PilotWorkshops is a distance learning company that provides ongoing proficiency training with videos and manuals. Some online courses are one time fees, others like the IFR Mastery Course, is a subscription. They use X-plane 11 as the flight simulator for Private Pilot license training. The material provides impressive details about installing and setting up the X-plane software, controls, views, monitors, weather, replays, debrief tools. PilotWorkshops also introduces online, live human ATC with PilotEdge. 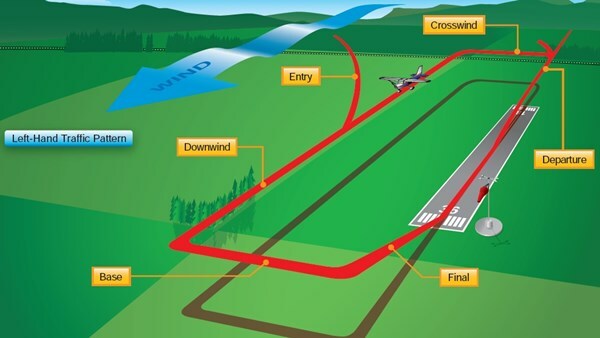 Interestingly, they try to do all this with a simple Phase 1 home flight sim setup (what is a Phase 1 flight sim? Read more). They use a single monitor, a joystick (not a yoke), and a TrackIR for the most part. 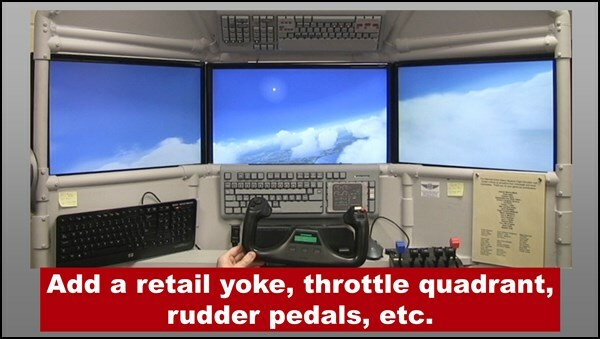 You could have a much better training experience with a setup like the DIY Deluxe Desktop Flight Sim which features, multiple monitors, yoke, rudder pedals, throttle quadrant and more. 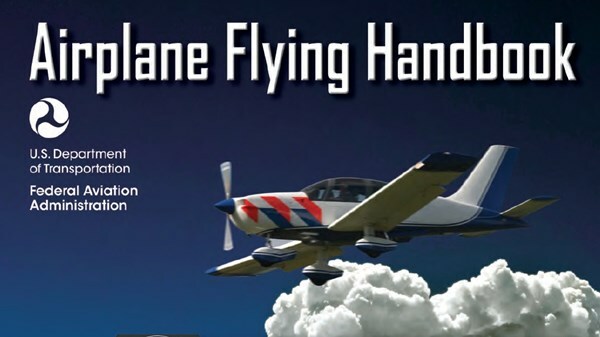 X-Plane Flight Training Course $149.95 or $99.95 if you already own X-plane 10. Gliem is a decades old legacy company that sells study guides, text books, videos and other materials for pilot ground schools. Anyone who has trained in North America has seen a Gliem book at one time or another. 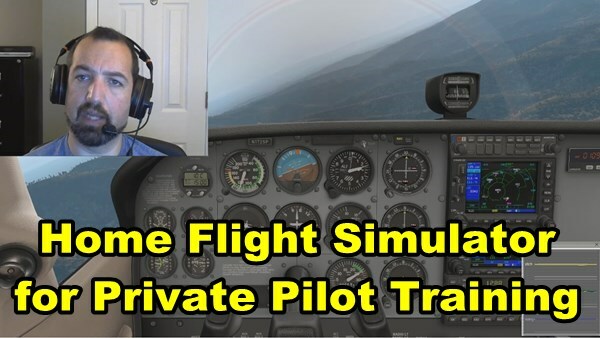 The videos and content uses a traditional Private Pilot syllabus with a flight sim focus. However, note that Gliem is still using X-plane 10 (not 11) as their flight simulator for private pilot license training. The promo video shows a real Direct Fly Alto light sport airplane, instead of the Cessna 172 used in X-plane, which is a bit odd. Gliem also sells a triple-screen cockpit frame for $549.95. That’s the price for the frame only! 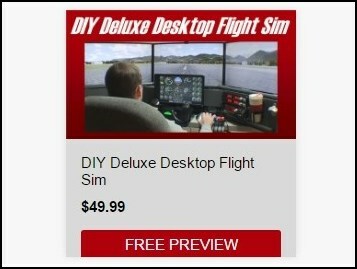 You will spend a lot less and get much more when you build your own DIY Deluxe Desktop Flight Sim. In conclusion, home flight simulator software keeps getting better and is an excellent addition to your Private Pilot training if used correctly. Do you want to take flight lessons someday? 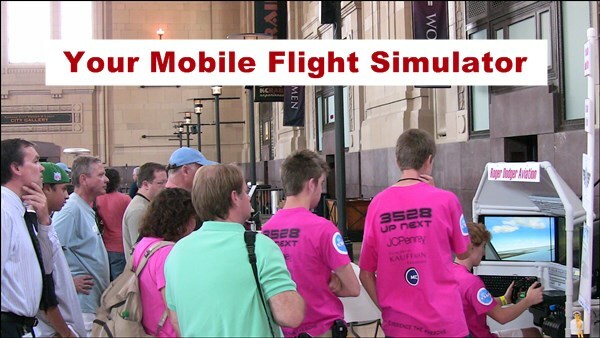 Are you trying to use your home flight simulator to learn more about real aviation? Do you simply want to be a better sim pilot? I recommend you download a copy of the Airplane Flying Handbook 2016 pdf. 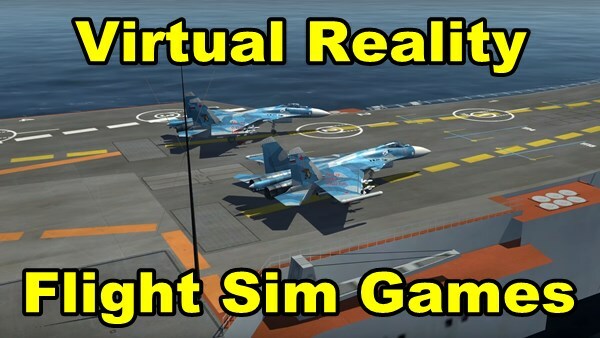 Many people buy flight sim software and just assume they will learn by trial and error. I do not recommend doing this because of the real danger of developing bad habits. The bad habits you learn in the sim will follow you to the real cockpit. In addition, you need to learn why pilots do the things they do, not just what they do. The Airplane Flying Handbook 2016 pdf is an important tool to help you build a fundamental understanding of flying and the national airspace system. The book includes an overview of flight training, maneuvers, night operations, emergency procedures, takeoffs and landings, and more. On the other hand, maybe you just want to fly airliners in your DIY Airliner Keyboard Mod. 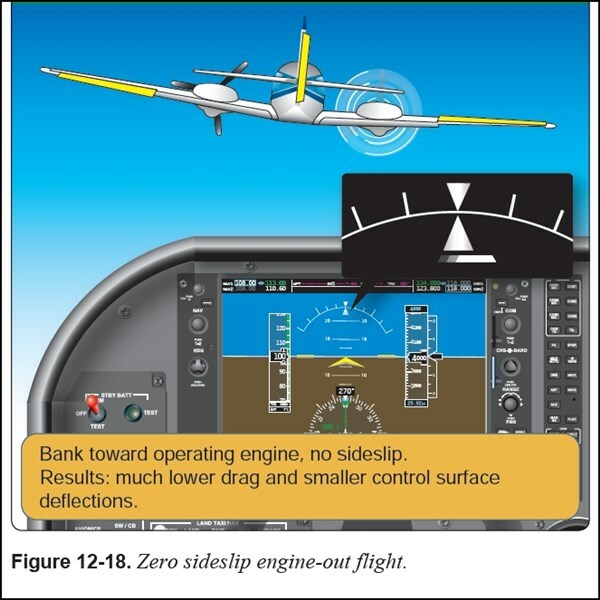 Well, check out Chapter 12, 14, and 15 of the Airplane Flying Handbook 2016 pdf. 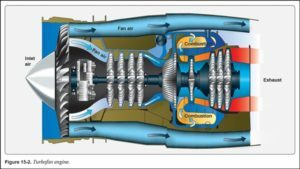 That’s where you will find important information about multiengine airplanes, turboprop airplanes, and jet airplanes. In conclusion, this handbook is published by the US Federal Aviation Administration. You can buy a hard copy book, or download a free pdf copy. 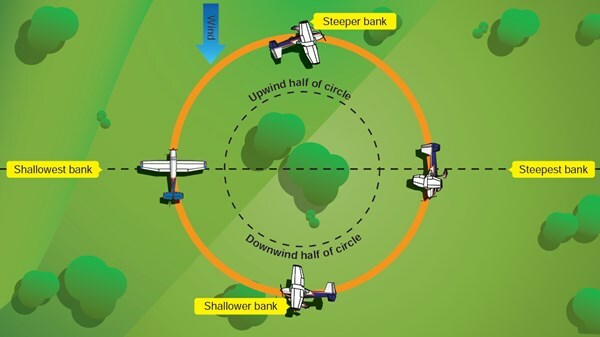 The Adobe pdf version is available at the FAA’s website or at the Builder Academy at this link: https://courses.rogerdodger.net/courses/take/builder-academy/downloads/2248361-airplane-flying-handbook Finally, sign up for updates so you will know about new content in Builder Academy and upcoming sales. When you try to fly helicopters with regular HOTAS flight sim controls one thing is perfectly clear: a throttle is definitely not a collective. 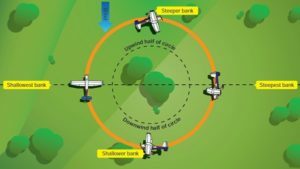 A legitimate helicopter collective control is essential if you fly (or are learning to fly) helicopters. 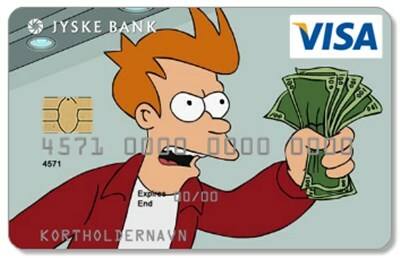 Unfortunately, retail collective controls are surprisingly expensive. 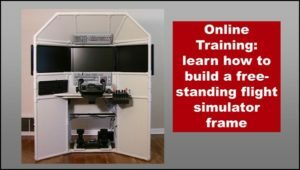 Consequently, I created an online course that shows you how to build your own helicopter simulator controls. This project does two major things. 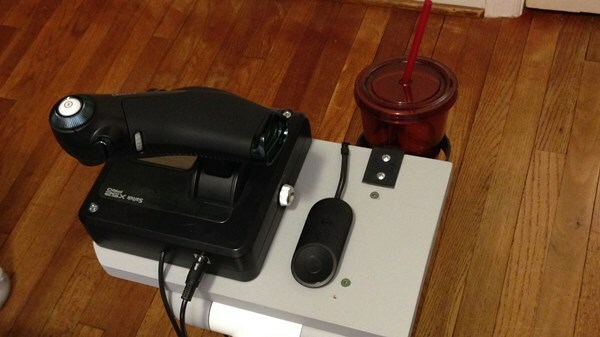 Firstly, it allows you to use a standard HOTAS throttle as a collective. The PVC pipe framework suspends the throttle vertically and connects it to a collective lever via a linkage. Most noteworthy: you don’t have to modify the throttle because the linkage straps onto the throttle handle without harming it. You can adjust the sensitivity of the collective by moving the linkage. Also, you can adjust the collective resistance with a friction knob. The second thing this project does is make it easy to switch back to airplane configuration. Maybe you still want to fly an airplane once in a while. 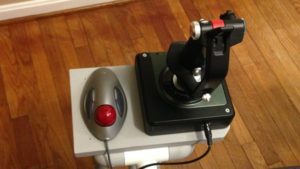 You can add the optional throttle stand and easily move the throttle for a HOTAS (hands on throttle and stick) control configuration. Best of all, you don’t have to change the control assignments in the flight sim software. It’s so easy! 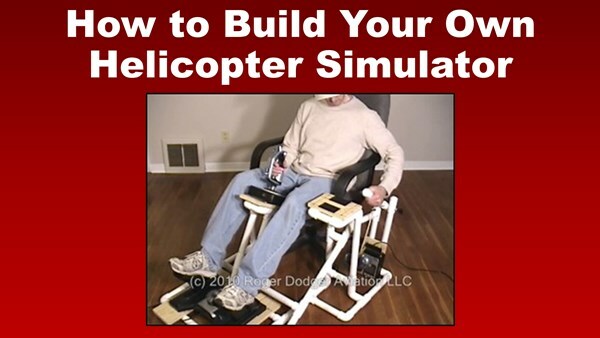 It’s also easy to build your own helicopter simulator collective. That’s why I named this project the DIY Easy Helicopter Collective. I produced an affordable, online course that shows you how to build your own helicopter simulator collective. I show you how to build this project with inexpensive materials from your local home improvement store. We’ll be working with PVC pipe, lumber, paint, and other materials. You can view the course on nearly any device even smart phones and tablets. See the full curriculum and a free trial at this link. Most noteworthy, the DIY Easy Helicopter Collective course is available now at a new lower price! Do you have a website or blog? If so, you could be a Roger Dodger sales affiliate and earn money through the sale of DIY Flight Sims tutorials. Introducing the DIY Flight Simulator Affiliate Program. I’m looking for new allies and it could be you, especially if your website is about flight simulation, aviation, DIY, or gaming. If you are a member of a nonprofit group, this could be a great way to raise funds. For example, EAA chapters could benefit from this, or CAP squadrons, JROTC detachments, flying clubs, etc. 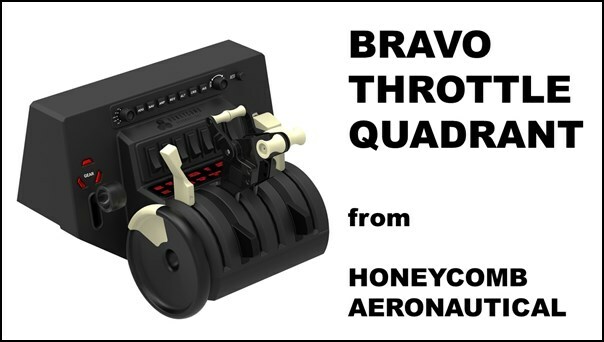 In addition, online squadrons can use the DIY Flight Simulator Affiliate Program to help pay their hosting expenses. 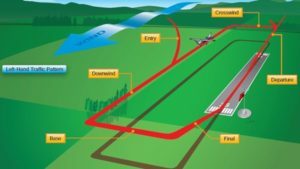 What are the DIY Flight Sims online courses? Check out all of the online courses here. 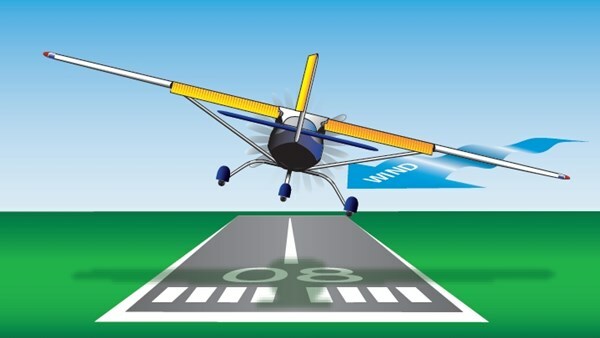 These are comprehensive tutorials that teach the student how to build a quality flight simulator framework or enclosure with inexpensive building materials. Each course includes video clips, illustrated instructions, diagrams, and printouts. Want to see what my customers are building? Check out the Customer Gallery. 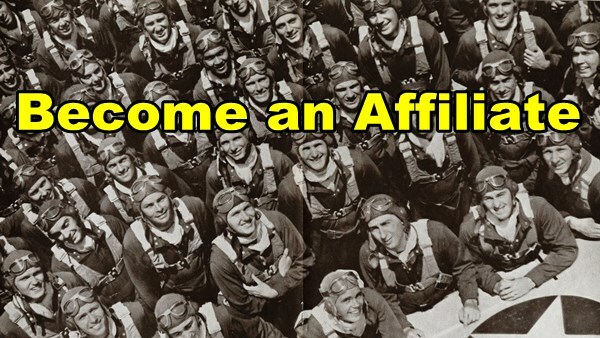 It’s easy to join the DIY Flight Simulator Affiliate Program. First of all, simply email me at DIYflightsims@rogerdodger.net and tell me the url of your website or blog. If we are a good match with synergy, then I’ll send you the instructions and html code to get set up. The link on your website will look similar to the picture. If a user clicks the link and then, at some point, enrolls in the course your website will earn a commission. 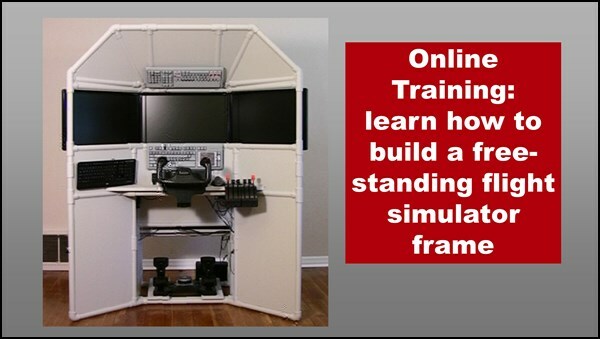 You can earn money with the DIY Flight Simulator Affiliate Program. We can split the revenues 60/40. That is 60% for me and 40% for your website. That is actually very generous because I fronted all the time, money, and effort to create these online courses. I pay affiliates in the month following the sale. It’s easy to start earning revenue with your website. Roger Dodger Aviation produced and uploaded over 100 flight simulator videos to YouTube. These 5 videos are the ones that are currently trending. This is an actual excerpt from the DIY Flight Sim Pod instructional video. It’s one of my favorite DIY projects. 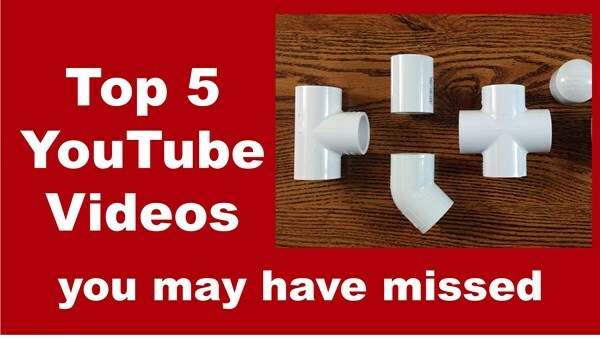 I found a great place to order PVC Fittings in bulk, so I decided to share the info with everyone. I’m a little surprised because it’s not directly related to flight simulator videos, but it is still watched by many people. This is an easy way to fix the annoying detent in the Saitek X52 Throttle. I’m happy to say this video has help a great many people. Before you can modify a Saitek yoke, you must first open the case without damaging the interior mechanisms or losing anything. What Happened to the DIY Flight Sim downloads? 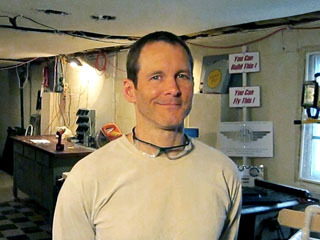 All DIY Flight Sim products are produced by me, Matt Thomas, here at Roger Dodger Aviation. These flight simulator build plans were originally sold as downloaded products. The customer would buy the instructional videos, manuals, and templates, and then download all contents in a big zip file. The customer would then open the files on a PC to view all the content. That was a great idea in 2007, but not such a good idea 10 years later. Customers wanted better access to the content, and modern e-learning was the answer. 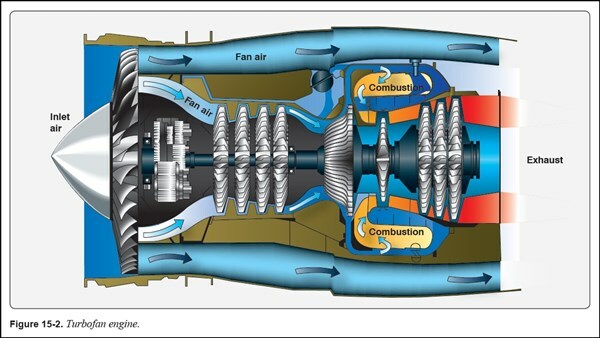 With online tutorial courses, a student doesn’t have to sit through a giant video or sift through a 100+ pages of flight simulator build plans. I re-formatted all the content so each step in the building process has a short video clip, and the illustrated instructions for that step only. The plan drawings and printouts are presented with that step, instead of buried in an appendix. You can now access the DIY Flight Sims courses with any device, even tablets and smart phones. 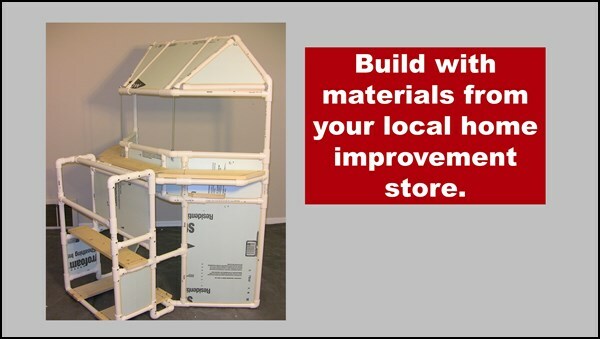 This means you can bring all the instructions with you to the garage or workshop when you work on the project. DIY Flight Sims made a huge leap forward in 2017. If you purchased an old Download version of a DIY Flight Sims product, you can get a free update to the new online course. The flight simulator build plans are in a better, learner-centered format, and many courses have additional material now. Want the update? Simply email me at DIYflightsims@rogerdoger.net and tell me what product you bought and what email address you used. This will help me track down your order. Also tell me where you bought it if you purchased from a 3rd party vendor. I’ll send you a coupon code that will give you free access to the course. You will have access to the original content for that product, but in the new format as an online e-learning course. I’ve updated and improved some of the projects, so you also get any new material that I’ve added. In addition, you also get a monthly notification of any future updates I make to the products in the Roger Dodger Insider. Finally, you also get free access to Builder Academy, which is where you learn all the basic skills for building DIY Flight Sims.